Watch Inglourious Basterds Online through our various affiliates. Our partners offer the ability to rent, purchase or sometimes even stream Inglourious Basterds. 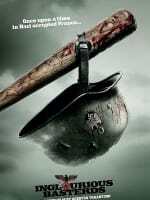 Rent Inglourious Basterds online via our affiliates. Most rentals are available for 24-48 hours after purchase. Purchase Inglourious Basterds online via our affiliates and own a digital copy for life. Stream Inglourious Basterds online using our partners below. Some options are subscription-based and others are free streaming supported by ads.